First off I have to admit to being truly shite about blogging over the past week or so, however having attended my first Cambridge Blog event I'm raring to go again. Like many other blog posts I've read on the event I was feeling trepidatious (I know, I just made it up!) about what to expect. Would they all be frightfully young and gorgeous (pretty much) would they look at me and think ‘what’s this old bird doing here being all has’beeny and snagging our freebies’? Truth is I did know one or two girls there and this meant I was on a more comfortable footing than most, props to those that walked in on their lonesome! Everyone was really nice and I met some lovely ladies who were so welcoming and seemed to really enjoy each other's company. Who says girls can’t get along? Aash's Little Talks - One to watch for make up and beauty tips! 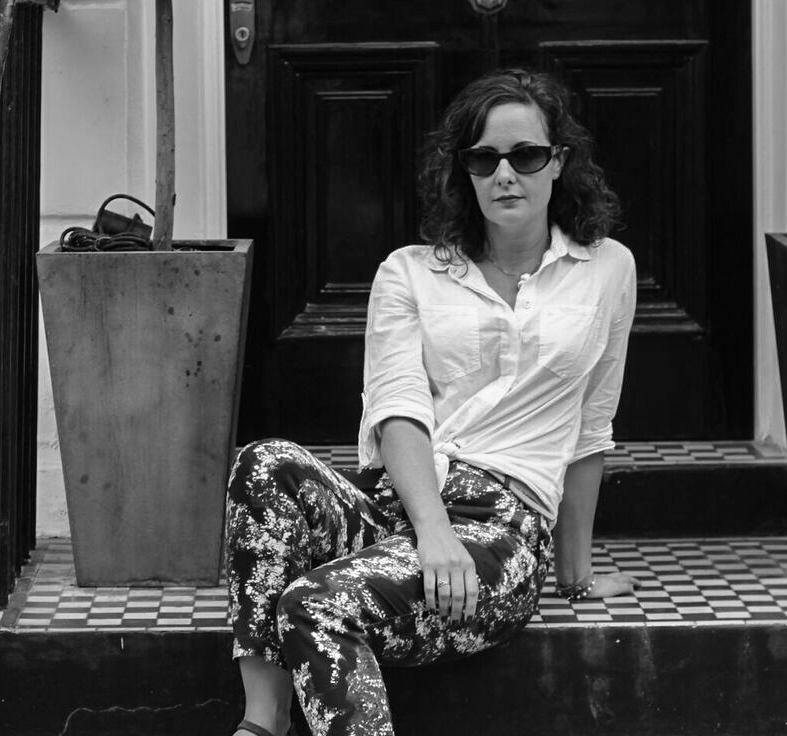 MissSueFlay - Recipes, Spa recommendations and a bit of a local celeb when it comes to blogging! Clashing Time - The event wouldn't have been possible if it were not for this lady who's into fashion and general fabulousness! The event itself was a stonking success, everyone who registered turned up (plus a few extras) and the products were top notch. Lush, l'occitane and Chocolat Chocolat treats were all around and a Christmas type joy filled the air when we started to dig in. 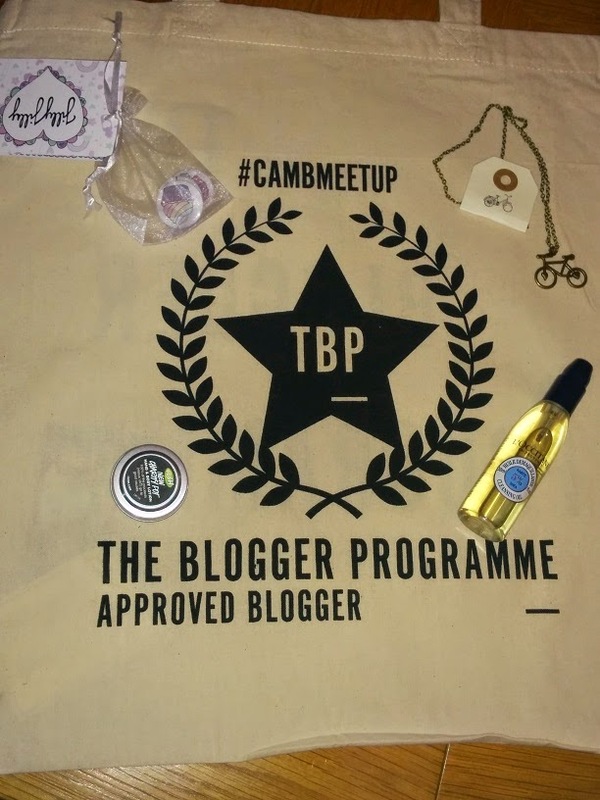 The mark of a good goody bag is how much of it you want to give away and I can safely say I made damn sure no one got their mitts on mine when I got home, my Blogger Programme tote will be with me forever more! Sniffy Wiffy - Body lotion for guys and gals with instructions on how to cop a feel of yourself to check for breast and testicular cancer. Admittedly the wiffy part is rather strong but not unpleasant and much more delicate on your skin than in the tub. For moisturising quality it gets a good 8-9 out of 10 as it sinks in wonderfully and for scaly bags with dried out hands like me that's a real plus. 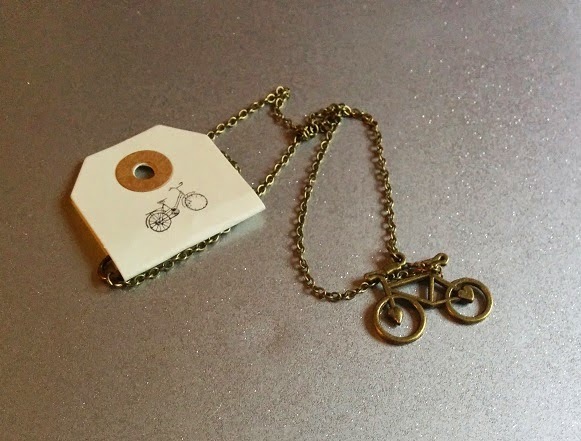 Claireabellemakes Let’s face it, the bike is like the emblem of Cambridge so this adorable necklace was always going to be right up my street. Cute without being too gimmicky I’ll think of my fellow bloggers and this great event whenever I wear it. The only question I have is... when’s the next one going to be? Thanks, am so glad I went. Will know more people at the next gig! Thanks for arranging! You did so well. Not a problem am wearing my necklace now!